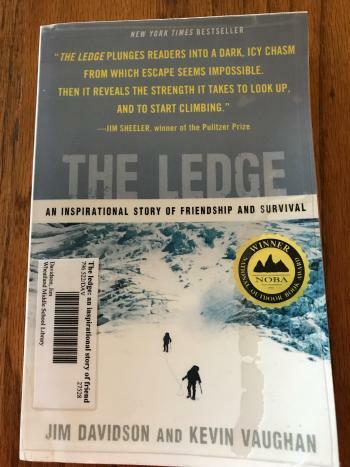 Jim’s 30 years of high-altitude climbs, rescues, and dramatic survival situations, he has: Summited the sixth highest peak in the world (Tibet); Climbed and led expeditions to Alaska, Argentina, Australia, Bolivia, Ecuador, Mexico & Nepal; Spent more than a year of his life sleeping in soggy tents. With training in wilderness first aid, avalanche safety, and vertical rescue, Jim honed his resilience expertise in the field as an expedition leader, ice climbing instructor, and mountain rescuer. Of special interest, Jim’s compelling survival story is featured in a one-hour episode of “I Shouldn’t Be Alive” on Animal Planet (the “Killer Crevasse” episode from 2011). WMS has one copy of the book in our school library!